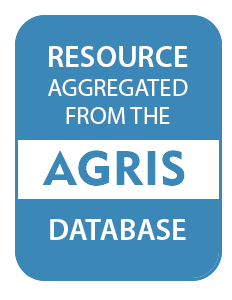 This indicator is defined as the amount of land area that is degraded. The measurement unit for indicator 15.3.1 is the spatial extent (hectares or km2) expressed as the proportion (percentage) of land that is degraded over total land area. How is this indicator measured? iii) carbon stocks above and below ground. 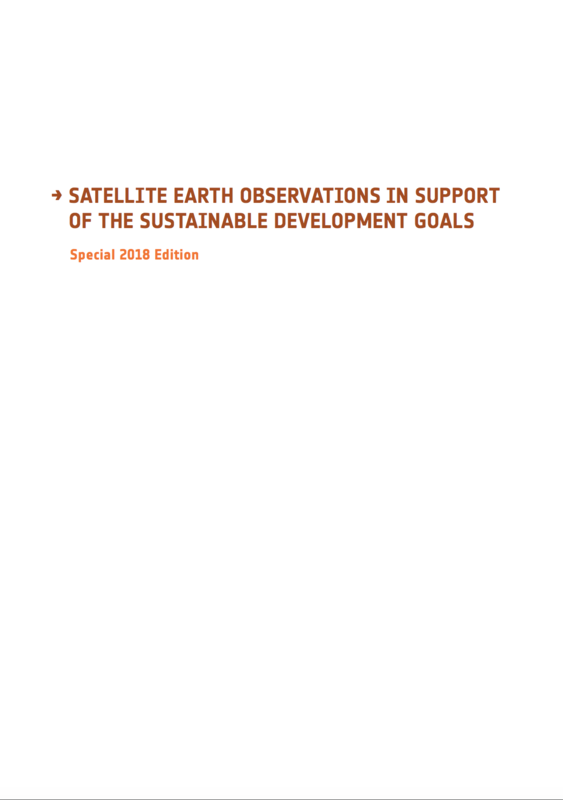 The most common method involves the use of site-based data to assess the accuracy of the sub-indicators derived from Earth observation and geo-spatial information. Another approach uses site-based data to calibrate and validate Earth observation indices and measures where the remote sensing variable is used to predict the same biophysical variable on the ground. 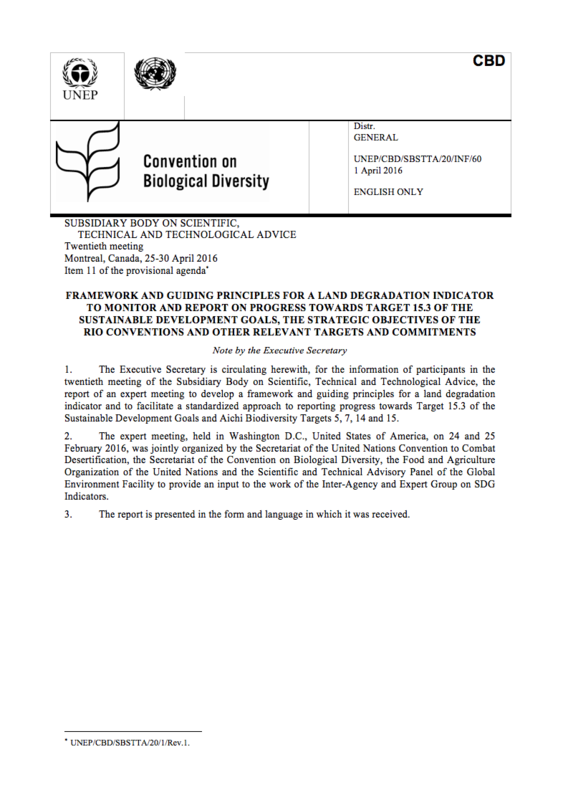 See SDG indicator 15.3.1 metadata document. UNSD has announced that the 6th Meeting of the IAEG-SDGs will take place in Manama, Bahrain from 11-14 November 2017. Custodian agencies are expected to submit their request for reclassification including key documents in support of their request by October 2, 2017. Pressures from food producer and demands from industries are stressing arable lands, pastures, and other essential areas. Land degradation decreases crop cultivation. Water and other resources grow scarce. Food insecurity can be a consequence, ultimately forcing populations to migrate to survive. 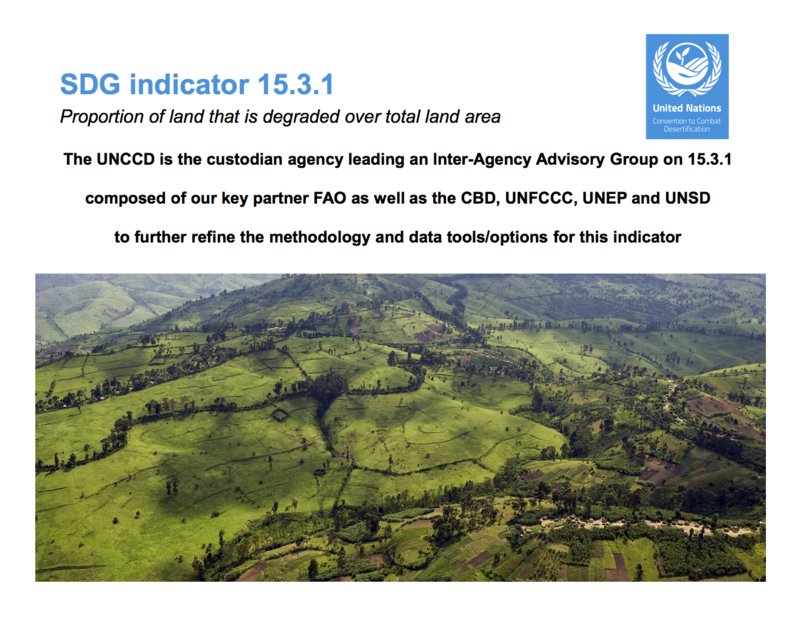 Indicator 15.3.1 focuses primarily on the use of three sub-indicators, including land cover and land cover change, land productivity, and carbon stocks above and below ground. However, many countries currently lack the necessary methods, data and expertise to monitor and report on land degradation. Who is working on monitoring this indicator? Agriculture area under organic agric. 'Agriculture'' area certified organic and/or in conversion to organic. Previously known as "Agricultural area organic, total"
This indicator measures carbon dioxide (CO2) emission in kilograms per dollar (expressed at the 2011 Purchasing Parity Power) of GDP. Restrictions regarding rural land use are enforced measured on a scale from A - which stands for good practices - to D - reflecting weak practices. Total number of biofuel (Agriculture) deals in a gven country over the overall time period 2000-2015. Total number of carbon sequestration/REDD (Forestry) deals in a gven country over the overall time period 2000-2015. There is a strong and compelling environment and development case to be made for securing indigenous and community lands. Securing collective land rights offers a low-cost, high-reward investment for developing country governments and their partners to meet national development objectives and the 17 Sustainable Development Goals. Securing community lands is also a cost-effective climate mitigation measure for countries when compared to other carbon capture and storage approaches. This July is the first time the United Nations will review the progress made towards meeting Sustainable Development Goal 15, which is about Life on Land. Each goal will be reviewed about every 4 years until 2030. The reviews will be based on the 10 indicators countries agreed on, that assess change in each country over time. Two important developments relating to the indicator on land degradation neutrality (15.3.1) have occurred, since its adoption in 2015. The 2030 Agenda marks a milestone in the evolution of society’s efforts to define and manage progress towards sustainable development in all its facets: social inclusion, economic growth and environmental sustainability. The definition of the Sustainable Development Goals (SDGs) and the associated Global Indicator Framework represent the first truly data-driven framework in which countries can engage with the aim of evidence-based decision-making and development policies. 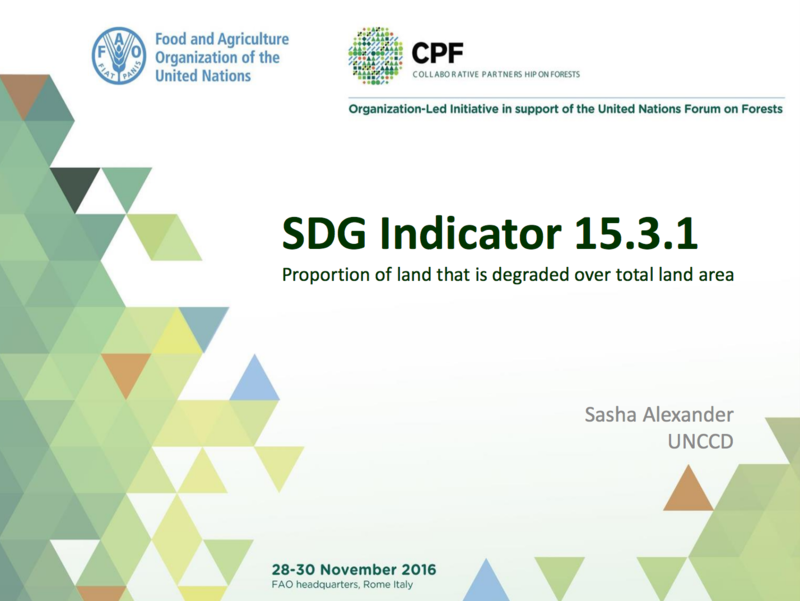 Presentation by Sasha Alexander from the UNCCD about SDG Indicator 15.3.1 about the proportion of land that is degraded over total land area. The UNCCD is the custodian agency leading an Inter-Agency Advisory Group on 15.3.1 composed of our key partner FAO as well as the CBD, UNFCCC, UNEP and UNSD to further refine the methodology and data tools/options for this indicator. This paper investigates the effects of wheat genetic diversity and land degradation on risk and agricultural productivity in less favored production environments of a developing agricultural economy. Drawing production data from household survey conducted in the highlands of Ethiopia, we estimate a stochastic production function to evaluate the effects of variety richness, land degradation, and their interaction on the mean and the variance of wheat yield. Ethiopia is a centre of diversity for durum wheat and farmers manage complex variety mixtures on multiple plots. The United Nations Convention to Combat Desertification in Those Countries Experiencing Serious Drought and/or Desertification, Particularly in Africa (UNCCD) is a Convention to combat desertification and mitigate the effects of drought through national action programs that incorporate long-term strategies supported by international cooperation and partnership arrangements. The United Nations Environment Programme (UNEP) is the leading global environmental authority that sets the global environmental agenda, promotes the coherent implementation of the environmental dimension of sustainable development within the United Nations system and serves as an authoritative advocate for the global environment.